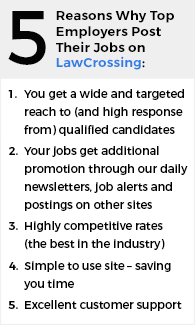 Summary: Learn why your job listing is most likely being ignored in this article. Are you finding that your applicant numbers are not quite hitting your goals? Is there a shortage in the number of people applying to your posting? There may be 5 things blatantly wrong with your job listing. Lucky for you, they are easy enough to fix. The method you have provided for people to apply to is allowing them to go around the system to apply. By providing too much information in the job description like the hiring manager’s email address or telephone number, they don’t need to apply the way you have provided, and can go straight to the source. Tracking their application becomes nearly impossible. You may be sending mixed signals. They may feel that they are applying for a position that is already filled, whether it actually is or not. A broken link leading potential applicants to a “404 Error” will cause many people to not pursue the job. The apply process is broken. The apply process is how you track applicants, so if it is broken you will have no way of tracking them. The reasons for a broken process vary. The ATS (Applicant Tracking System) may not have been properly integrated into your career site, so the result is broken links and forms. There may also be a issue with mobile users trying to apply. Another potential reason is that the application process is too long and tedious, which is causing many applicants to give up before finishing. 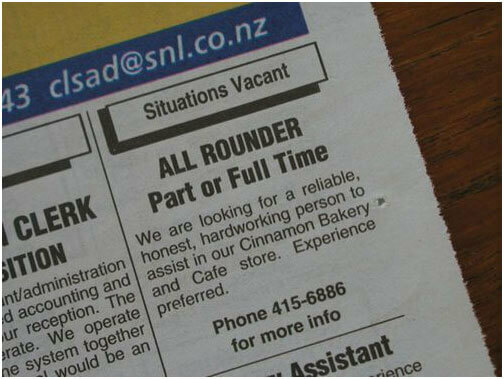 The job description you provided is unclear. A misleading description and title will confuse applicants. Mislabeled or mistitled descriptions mean that the wrong applicants are looking at your posting. Once they realize they don’t qualify for the job or what it is actually regarding, they forgo applying. If your budget is out-of-line for performance-based advertising then you will have difficulties. Performance-based advertising is supposed to eliminate waste from recruitment marketing budget, but if it is not done with hands on management then the budget will be wasted. Budgets need to be proportional to the job volume you have to fill.